Picture – (click to enlarge) We all are on a huge spacecraft full of water, … the big blue marble. 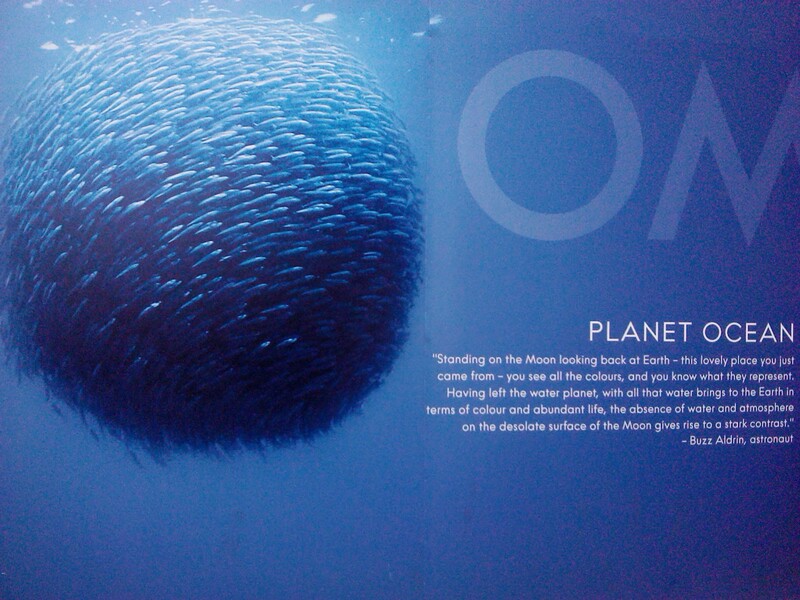 The new OMEGA watch campaign, Planet Ocean, features a giant swarm of sardines in deep blue ocean along with a well known quote from Buzz Aldrin, the astronaut (Wien, Sept. 2011). “Standing on the Moon looking back at Earth – this lovely place you just came from – you see all the colours, and you know what they represent. Having left the water planet, with all that water brings to Earth in terms of colour and abudance life, the absence of water and atmosphere on the desolate surface of the Moon gives rise to a stark contrast.”, ~ Buzz Aldrin, astronaut.